Meet the new nominee, who's the same as the old nominee. That's according to Utah's Republican Rep. Jason Chaffetz, who said on MSNBC that he believes former Massachusetts governor and twice-failed contender Mitt Romney will run and win the presidency in 2016. The main reason for that line line of thinking? Romney's been the recent subject of polls showing him running ahead of President Obama in a hypothetical rematch (obviously, he won't get another crack at that,) and as Chaffetz says, he's been "proven right on a lot of stuff." But Romney's also insisted he won't run again, and still possesses so many of the same liabilities and strategic problems he did before. 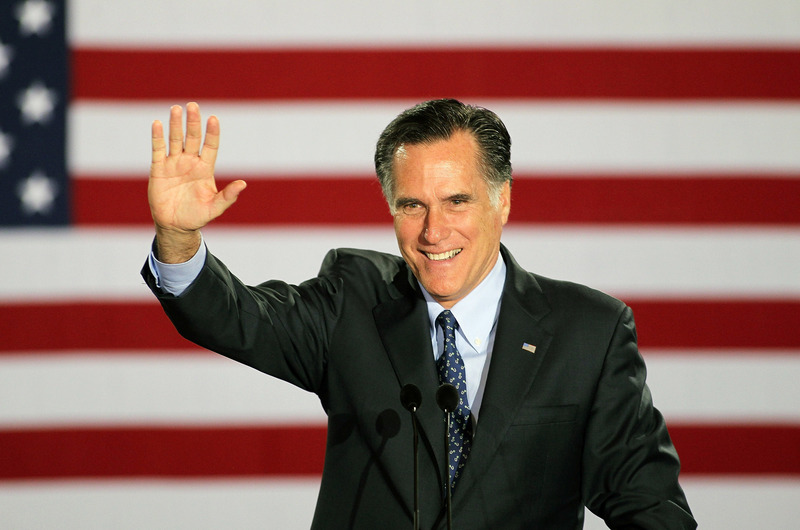 Indeed, it's true that Romney's popular support has surged since his 2012 election loss. Both as a contrast to the President's flagging approval ratings, and buoyed by the perception that he accurately predicted oncoming crises in Iraq and in U.S.-Russian relations during his campaign, there are certainly a lot of poll respondents right now who're willing to say again what the party ultimately decided in 2012 — Mitt's it! We, on the other hand, are doubtful. At 67, and with mountains of money in reserve, does he really need the time and stress all over again — and would it even come to anything? Here's a handful of reasons Mitt Romney's road to the White House is no easier now than in 2012, and why he'll probably stick to his guns and stay home. All the ways in which Romney's personal politics proved a hindrance in seeking the Republican nomination, sad to say, would be the same problems he'd face in a 2016 run. In some ways, the path could seem simpler and easier — the voters already accepted him once, and familiarity could help him. But a 2016 run means jumping back into the macabre rubicon of the Republican primaries, a stage on which Romney didn't always look particularly natural or comfortable. He was never a believable conservative fire-breather, after all. This is a pretty huge problem for any Republican candidate looking to appeal to Latino voters, considering the striking demographic trends demonstrated in Obama's drubbing of Romney in 2012. In the days and weeks immediately following the loss, Republicans talked some good talk about needing to take immigration reform more seriously, needing to change the tone, to rebrand the party's flawed tact towards minority voters. But, of course, they didn't. The GOP's control over the House, dependent on its far-right Tea Party element, was basically the grave site of immigration reform from the get-go, and there's absolutely no indication that's going to change between now and then. And if Latino voters were upset about that before, it's pretty hard to see how it's gotten any better — now, they have evidence that even with every practical incentive and excuse at their backs, the GOP still won't come around on immigration. Basically, if the Republican party had done what everyone said it had to (even Sean Hannity issued an immigration mea culpa after Romney's loss), the cards would be stacked in Romney's favor. He could run and secure the nomination as a moderate, which he's surely more comfortable with, and he'd actually emerge in capable position to contend in a general election. But they didn't, and as such, he wouldn't. Okay, okay, not really. But it bears mentioning, with all the ink a certain Democratic contender's gotten over her age in recent months — Mitt Romney is actually older than Hillary Clinton. He'd turn 70 in his first 100 days in office. Now, this honestly shouldn't preclude him from taking the plunge if he wants to — last time around his medical reports showed a man in more or less prime physical condition for a much younger age, with a resting heart rate of just 40 beats per minute. But neither should female candidates like Clinton receive undue scrutiny over their ages, especially with the issue completely passing by older male candidates. 4. Who Wants All That Trouble? Here's the hard truth: Mitt Romney was a real gaffe machine during his last campaign. He flubbed and flailed, and sometimes that's okay — no candidate can be a perfect talking-points mouthpiece all of the time, however much their aides and handlers might wish. But those moments carry a particular sting for Romney, because he's simply not terribly fluid or charismatic when thinking on his feet. Moreover, even with the polls seemingly breaking in his favor, he knows full well how chaotic and unpredictable campaigns can be. Basically, it's by no means a sure thing, and everything Romney's said on the matter since his 2012 loss would lead you to believe that a sure thing is the only thing that could lure him back into the fray. In the aftermath of his campaign, his son Josh claimed that Mitt hadn't even wanted to run, and had to be convinced by his family. This is a good opportunity to judge whether that story rings true — we're placing our bets that Romney 2016 is a no-go from the start.